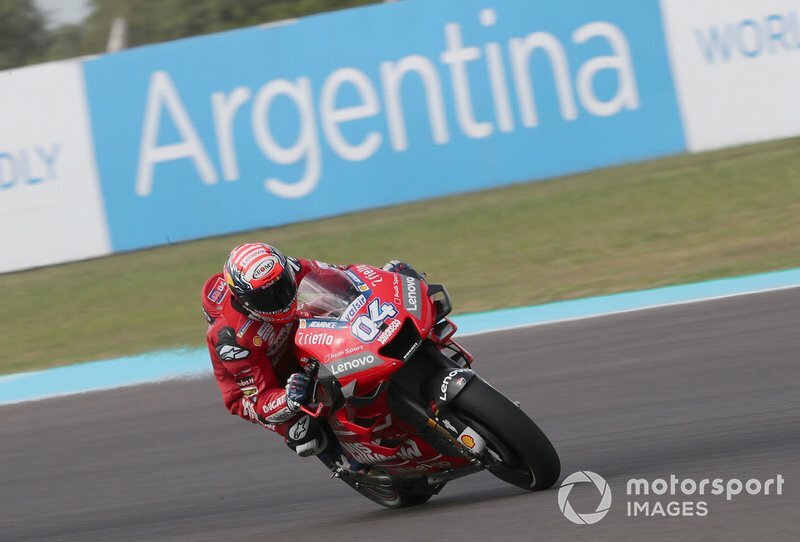 Danilo Petrucci has described the opening day of track action for this weekend's Argentina Grand Prix as his worst since he joined the factory Ducati MotoGP team. 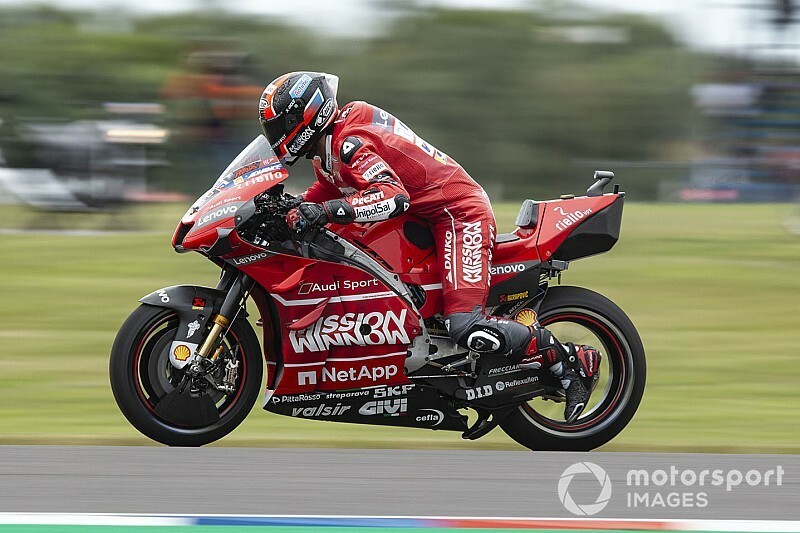 While Andrea Dovizioso and Jack Miller ensured Ducati locked out the top two times during Friday's running at Termas de Rio Hondo, Petrucci ended up down in 13th place. 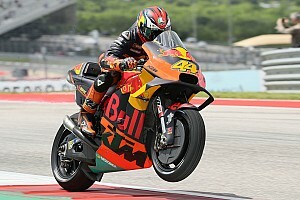 It followed a crash at Turn 1 during the morning's opening session, which combined with a problem on his spare bike left the Italian rider down in 20th place. “Sincerely it was the worst day since I joined the [factory] Ducati team,” Petrucci admitted. 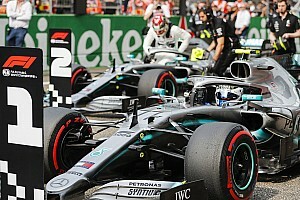 “I made a mistake this morning trying to push as much as possible and maybe the track was not ready and I crashed because there was not so much grip. 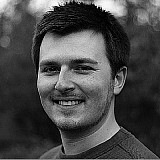 Speaking in more detail about the crash, he added: “Very strange. The front [wheel] locked, this happens when you don’t have a lot of grip on track. “I braked hard and I crash when I was almost straight. I lost the feeling, we have to change set-up, so a lot of things. 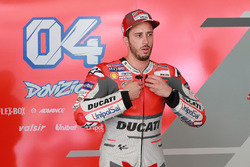 Dovizioso: Topping times "not important"
Dovizioso left it late in FP2 to pip Miller by just 0.009 seconds and head up the timesheets at a track that has not favoured Ducati in recent years. 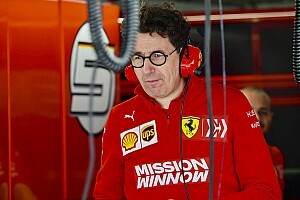 The 2017 and '18 runner-up declared himself "really happy" with the outcome, highlighting the improvement the Bologna marque has made in the last 12 months, but believes the pace on Saturday will be even faster. 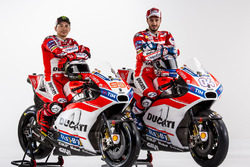 "I was surprised, but first position is not important, especially when we are very close," said Dovizioso. "That’s not the point. "It’s good to be in the top 10; I think [on Saturday] the track can be faster, I don’t know if it will be enough, that laptime, to be in the top 10. "Our base is good, so I was able without pushing a lot to have a good laptime and that give us the possibility to work on some set-up. "We were able to improve a little bit the feeling, but still the grip on the rear is not a lot, and we have to try to improve a little bit." Asked if he expected a repeat of Qatar's frenetic pack race in Argentina, he replied: "I don’t think so, also because the [tyre] consumption here is less than Qatar."